We are a Colombian Coffee Company. We are all official and authorized Colombian exporters and wholesalers, members of the Colombian “Federación de Cafeteros”, which allows us to offer the best-quality 100% Fair-Trade Colombian Arabica coffee in the region. Our Association specializes in the highest quality coffee existent in Colombia, only Arabica from the mountains, hence you can rest assured that the maximum strict control has been put into all processes, from planting, collecting, drying, roasting to packaging, labeling and shipping. First of all, we are one of the few wholesalers/exporters that can offer roasted OEM in Colombia. We can prepare your private label coffee in our deluxe Private Label Coffee Bags. Secondly, we specialize in freshly harvested and freshly roasted coffee for small and medium buyers from all around the globe. 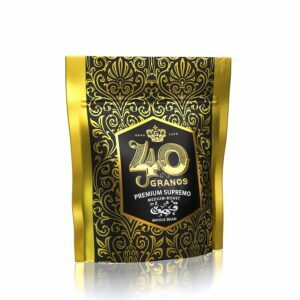 Lastly, our award-winning brand, 40 granos, is a beautiful luxury brand specialising in specialty and supremo coffee. Launched in 2019, it is quickly starting to become present worldwide in the most exclusive locations, luxury hotels, restaurants and boutiques. We try to make finding Colombian Coffee Companies easier! We understand that working with Colombians and Spanish-speaking natives can be gruesome, reason why our team is multilingual. You will find us always more than willing to be as helpful as we can, therefore please do not doubt to contact us with any questions. We are a new and modern concept of “Coffee Association”. Some years ago many of us coffee businesses and farmers decided to work together to offer our products and services through our shared websites “Premium Colombian Coffee” and “Café Colombiano Premium” which have Nº.1 Google presence worldwide. Working hand in hand, we can go further and hence we can offer bulk coffee solutions, but, most interestingly, we are the only coffee company in Colombia to offer a wide range of solutions for small and medium-size buyers than none of the others can. We are a Colombian Coffee company where you can buy roasted Colombian Coffee. You can decide the roasting level of your Colombian coffee by just sending us a sample. Our lab analyzes and duplicates it. (minimum quantities apply). If you are a coffee company and want to market your own brand, we are perfect for you! 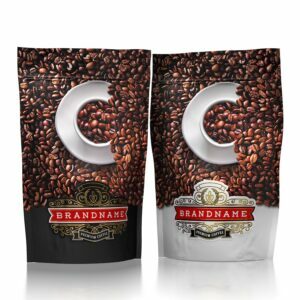 You can use our coffee brand, our coffee logo and our coffee bag design. Or you can send us your coffee packaging and we fill them with the coffee and send to you. Interested in becoming Distributor of a Luxury Brand of Colombian Coffee with an international award-winning packaging? Let us know to send you details. We would love to be given the opportunity to work with you. Our company specializes in Premium Colombian Coffee.